Chitwan–The ruling Nepal Communist Party (NCP) senior leader and former Prime Minister Madhav Kumar Nepal said that the government has opened door for talks. At a press conference jointly organized by the Press Chautari Nepal and Press Centre Nepal, district chapter here today, leader Nepal said that the government was always open to hold talks with disgruntled parties including Biplav led Communist Party of Nepal. He also stressed on creating environment conducive for investment as government was preparing to hold investment summit in the country. 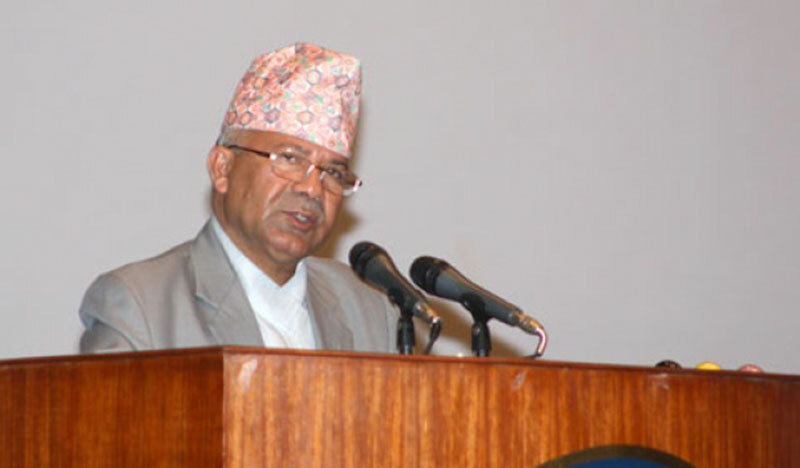 On a different note, also the former Prime Minister, Nepal said that he was always in opposition on the issues of religion conversion and alcoholic drinks.